The Lexmark MX711DE multifunction laser printer is sure to be the only machine your workgroup will need. The blazing fast 70 ppm print and copy speeds produce professional quality documents in less time. 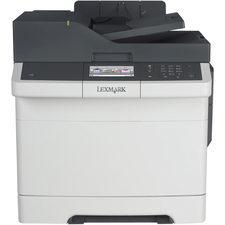 Get great looking scans with the incredible 600 x 600 dpi resolution, while the Super G3 fax rounds out this great machine. Other great features include gigabit ethernet networking and duplex copying, scanning, and printing.